Do you feel young at heart? There are many lessons adults can learn from children to make their lives easier, less stressful and more enjoyable. 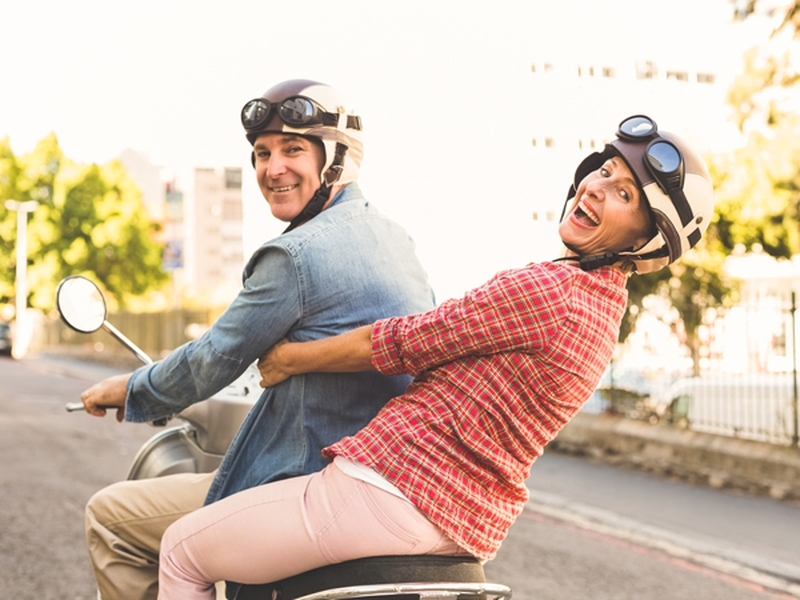 Here are 15 signs that you are young at heart. Children can see humor and fun in almost anything, from playing on a swing to someone pulling a silly face. Adults who are young at heart try to embrace the day, and smile and laugh whenever possible, even if it may feel like there is nothing to smile about. Many adults fear the unknown, but if you are young at heart you love to try new things, from exotic food to learning a new skill. Rather than feeling fear, adults who are young at heart feel curiosity and a thirst for knowledge. Every day children push themselves beyond their limitations, as they learn to walk, talk, read, write and socialize. Many adults fear learning new things because they’re afraid of failure, but adults who are young at heart don’t let their limitations hold them back. Children rarely worry about things that they cannot change. Adults are permanently analysing different outcomes of situations they can’t change, as they want to feel in control of every aspect of their lives. Adults who are emotionally young at heart know they cannot change the outcome of everything, so they do not bother worrying or stressing about it. Children rarely think far beyond the current day, and adults who are young at heart are very similar. They believe every day is filled with opportunities, experiences and adventures, and they avoid stressing about yesterday’s struggles. Children are proud of their cuts and bruises; remember how everyone would sign a child’s cast at school if they broke their arm? Young at heart adults do not feel ashamed or embarrassed about their scars – emotional or physical – instead, they are proud of them for making them who they are today. You will regularly see young children losing themselves for hours in creative pursuits such as drawing, crafting or painting. Children can immerse themselves in creative activities – much like the way adults can lose themselves in work. People who are young at heart often enjoy exploring their creative side, and set aside time to be creative – just as they set aside time for work projects. Children’s lives often feel boundless as they are not held back by a fear of failure or rejection. Adults who are young at heart embrace life, and seize every opportunity they get with determination and hope. Most of your childhood is spent making new friends; at school, at birthday parties and at clubs. Adults who are young at heart remain opportunistic, rather than closing themselves off, and view strangers and acquaintances as potential friends. Animals are filled with love and emotion and children are captivated by them. As we grow up we often struggle to feel captivated by anything, but adults who are young at heart still love to play with animals and be in their presence. One of the reasons children are so content is that they live in the moment, and don’t carry old grudges with them. Adults who are young at heart let go of grudges and bad feelings, but hold on to happy and positive memories. As a child, you were probably a lot more aware of the small things going on around you, from watching ants walk in a line to collecting unique pebbles. Children notice and see beauty everywhere in life, and it brings them a great amount of joy. Adults who are young at heart take the time to stop and appreciate the world around them, even if it is only for five minutes a day. They see the world as inspiring and vast, and they don’t want to miss even a minute of it.